The Portégé X20W is the latest entrant in the increasingly crowded field of Wacom AES equipped convertible laptops. When the Toshiba Encore 2 Write 8-inch and 10-inch models were released early last year, they quickly became the darlings of cost conscious artists despite some serious design limitations. Featuring low resolution displays, only 2 GB of RAM and a slow Atom processor, I nevertheless recommended the E2W to anyone on a budget, given its outstanding Wacom Active ES pen performance. Unfortunately, the $400 device began disappearing from stock several months ago and is now nearly impossible to find new or selling at its original price. 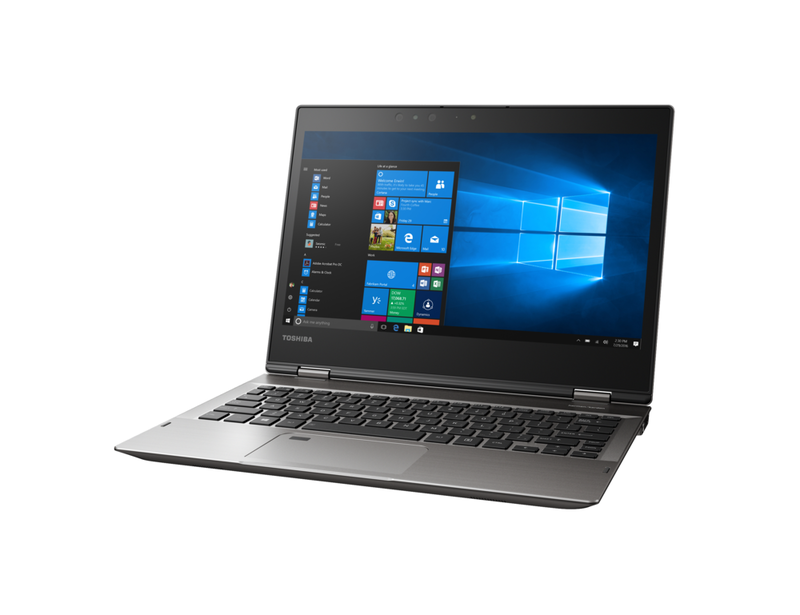 Now Toshiba is back with the 12-inch dynaPad, starting at $570. 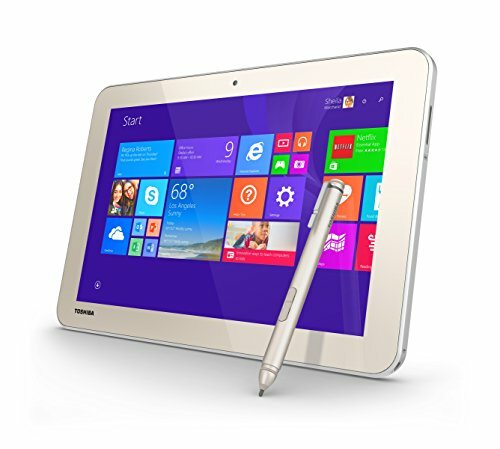 With this device, the company is once again vying for the crown of Windows' price-performance champion. In addition to its larger display, the dynaPad features a few major improvements over its predecessor: 1920x1280 resolution, 4 GB of RAM and an additional micro USB 2.0 port. Sadly the dynaPad is still limited to 64 GB of onboard eMMC storage and hindered by an Intel Atom x5-Z8300 cpu clocked at 1.44 GHz, yielding virtually the same performance as last year's Encore 2 Write. Other tablet manufacturers should be thankful that Toshiba didn't equip their dynaPad with an m3 processor or 128 GB SSD because the dynaPad is otherwise nearly perfect. Weighing only 1.28 lbs (tablet only) and .27 inch thick, the dynaPad is the ideal portable sketchbook: slightly smaller and lighter than even the iPad Pro and significantly more comfortable to hold. The edges of the dynaPad are rounded and slightly rubberized, avoiding the sharp, slippery feel of the iPad and other tablets. Unlike the E2W, which had a thick plastic coating on its screen, the dynaPad's Gorilla glass display is clear, smooth and durable. Toshiba sells an optional keyboard cover for $100 that looks very nice but that I opted not to purchase for this review. 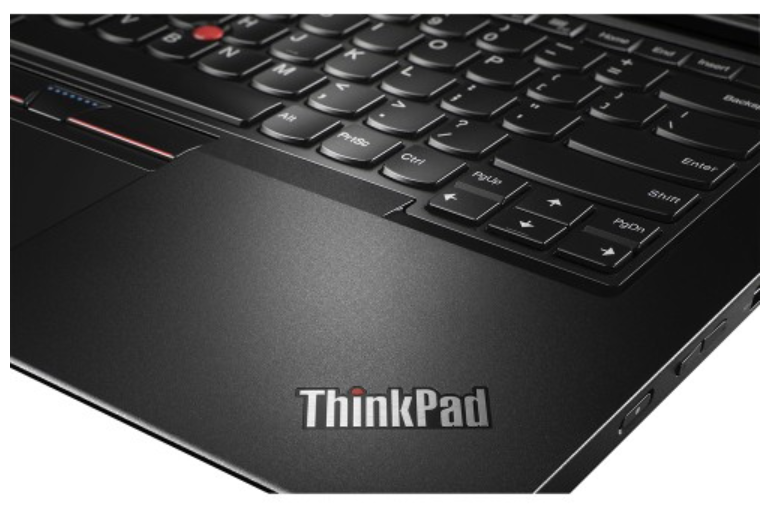 The keyboard offers only one viewing angle (similar to the keyboard shipped with the Lenovo Thinkpad Helix 2 and which I found very impractical). Compared in the images above and below to the Surface Pro 4 (left) and the Encore 2 Write, the dynaPad looks every bit a premium device. 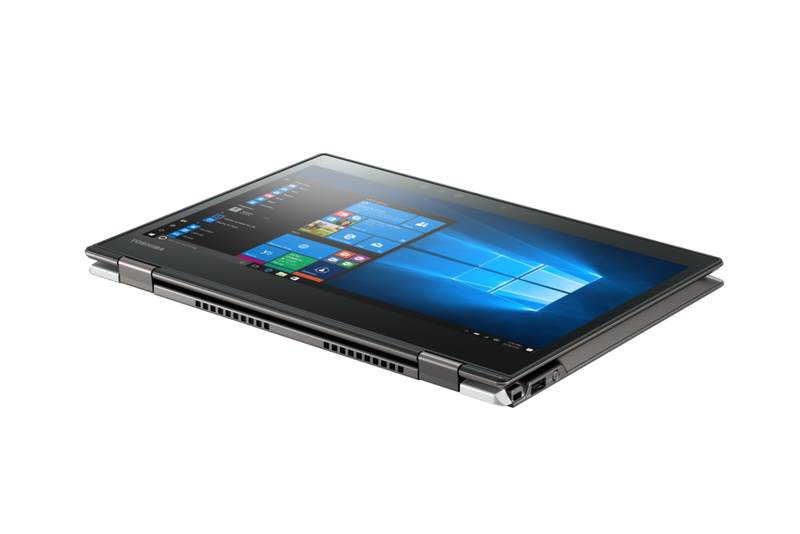 The new Toshiba TruPen that is included with the dynaPad is significantly longer than the original, which makes it feel like a great writing instrument. An unfortunate design choice is the end clip which inserts into the dynaPad body (below). While the clip definitely makes a secure connection, inserting it and pulling it out again can be a real chore. I don't typically write about the speakers on tablets, as they're not at all essential for art, but I feel compelled to mention the atrocious speakers on the dynaPad. The two openings are located along the right side of the tablet (see one of them to the lower left of the pen in the image above). I've never encountered speakers sounding this bad on any Windows tablet that I've ever owned. Volume is ridiculously low and tinny, sounding like a cheap 9-volt transistor radio. The dynaPad ships with a Dolby audio tool but it doesn't do anything to improve the hideous sound. 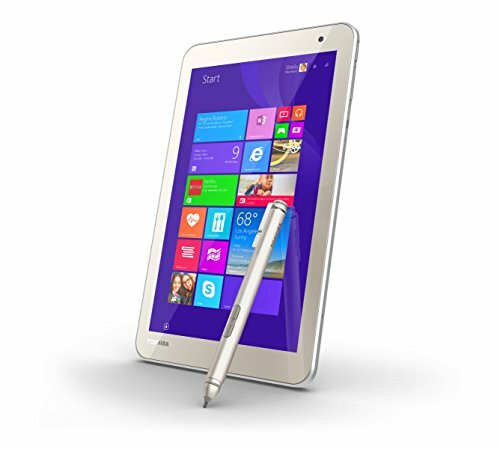 By comparison, the Encore 2 Write had excellent audio. I can't understand how Toshiba engineers thought it was okay to release a product with a defect this bad. How much could this choice have saved the company? Speaker quality shouldn't be a disqualifier for most of you, but be prepared to cringe when you hear every system notification. 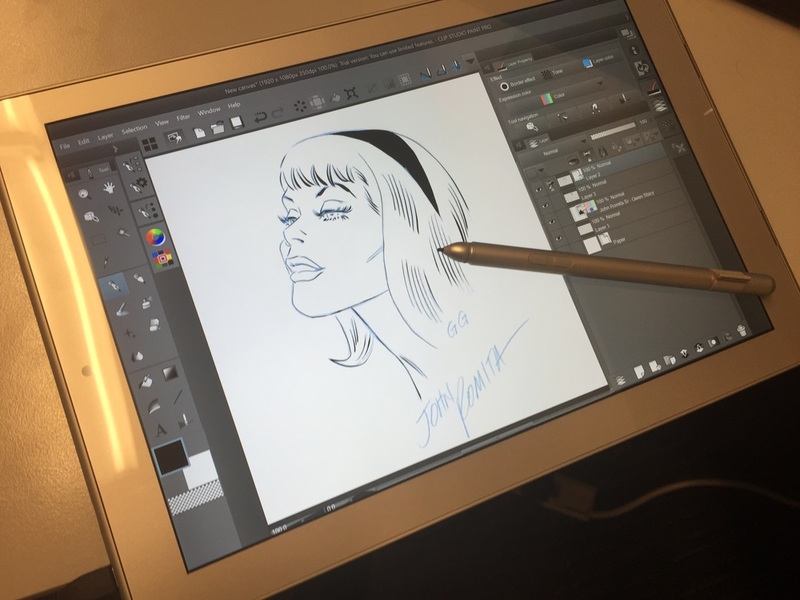 As we've come to expect from all Wacom Active ES devices, pen performance on the dynaPad is outstanding. In the example above, see the wide range of stroke thicknesses I was able to derive from the same sized brush in Clip Studio Paint. Wacom AES offers 2048 pressure levels and it feels like I could successfully draw with each one. Hover distance is greatly improved vs. the first generation TruPen. The pen is recognized about a half inch away from the display which should result in far less palm rejection errors and stray marks. 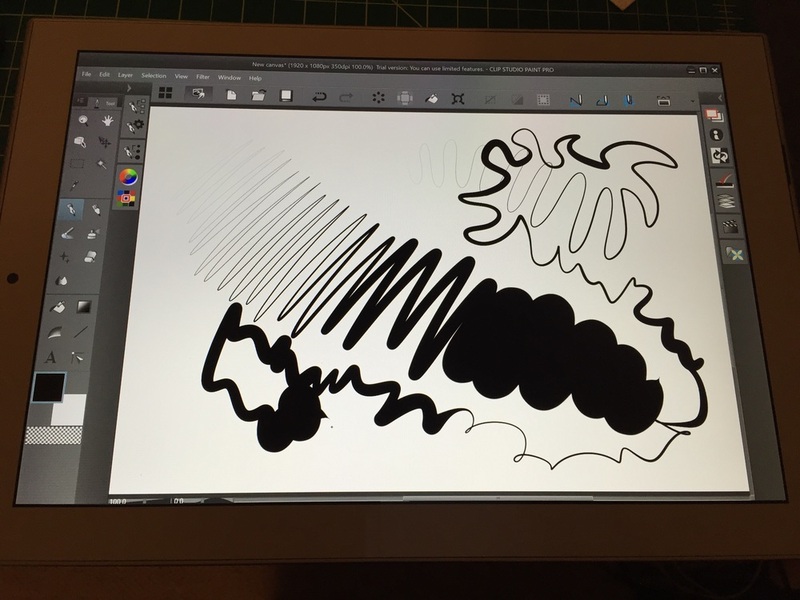 In addition to Clip Studio Paint, I also tested the dynaPad with Sketchable, Mischief, Sketchbook Pro and Sketchbook for Tablets and Photoshop CC 2015. Generally those programs that offer a little bit of brush stabilization performed best. Photoshop in particular seemed more difficult to control. With 4 GB of RAM, I didn't encounter any slowdowns sketching on 11x17, 600 dpi images. As usual, some lag was evident if I pushed textured brush sizes beyond a few hundred pixels. Real performance hits incurred by the Atom and eMMC storage occur when downloading and installing software. Windows updates can be very slow to install. Despite my very fast Internet connection, Adobe Photoshop still took 30 minutes to set up. In benchmark tests, the dynaPad achieved middling scores of 938 in TabletMark and a 748 Geekbench (single) and 2182 (multi). The Encore 2 Write achieved 805, 702 and 2090, respectively. Better performance would definitely have been expected given the price increase. And most troublingly, the humble Surface 3 does 1253, 969 and 3204 on its tests. If you're looking for a speed demon, the dynaPad definitely is not it. 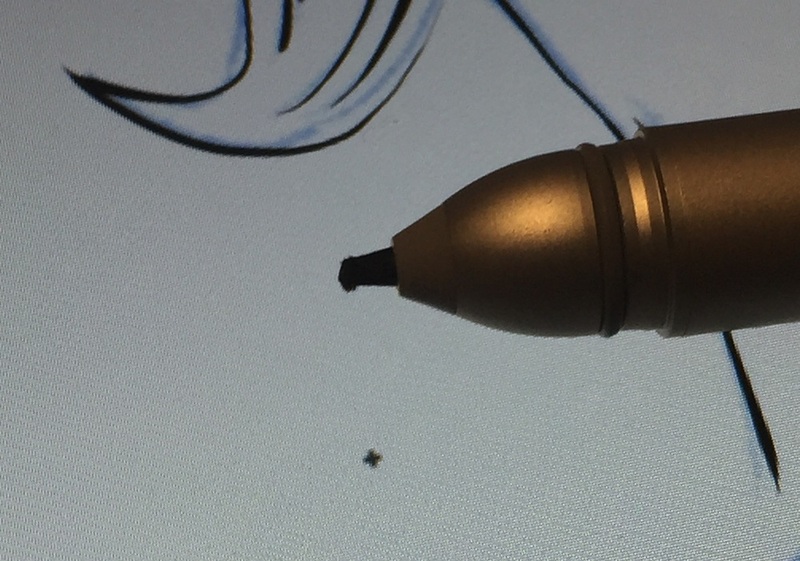 The dynaPad ships with one spare nib and that may not be enough based on the wear I saw on pen's nib (see above). This generation of nibs is somewhat softer than last year's but I've never had a tip deteriorate as quickly as this one. Within one week of limited use, I ended up having to replace it. Hopefully this was an isolated case but it's a real concern because neither Toshiba nor Wacom market replacement sets. The new TruPen nibs (above top) are interchangeable with the previous generation. Those older nibs are made of a slightly harder material. 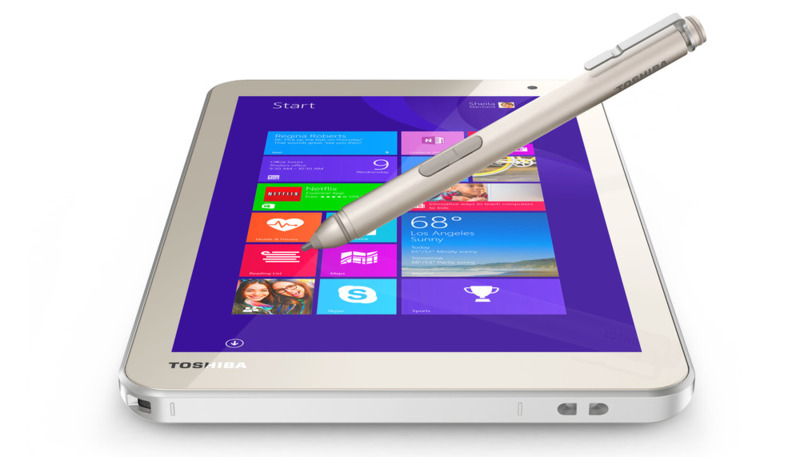 While the older TruPen can be used on the dynaPad, the new pen will not work on the Encore 2 Write. One final quibble is the micro USB to to USB power cable included with the dynaPad. It's only three feet long and limits your ability to use the tablet while it's plugged in. Not a major issue, but another in a line of disturbing cut corners. Is the dynaPad right for you? If you're coming from an Encore 2 Write, absolutely. If you've never owned a Windows tablet or are shopping for lower cost iPad Pro alternatives, you'll probably be happy with the dynaPad. If you're a power user and have a few hundred dollars more to spend, you'll probably be happier with other more powerful options.